Food Sensitivity Testing - Is It For You? — Caroline Zwickson, M.A. Because I have experienced such positive results from doing a food sensitivity test (I did mine with Everlywell), I am dying to share about it with you today! Here’s why knowing about your food sensitivities is so valuable aka. what are common symptoms? One of the key components of my training to be a health coach was to learn about food: the many benefits of food as well as the negative or harmful effects it can have on your body, your mind and your emotions. Here’s the truth: we are all unique and there is no one diet or way of eating that works for every body equally. Of course, things like sugar, alcohol, GMO’s, trans and hydrogenated fats, artificial, processed, or fast food aren’t good for anyone, but that’s pretty obvious to most people by now. 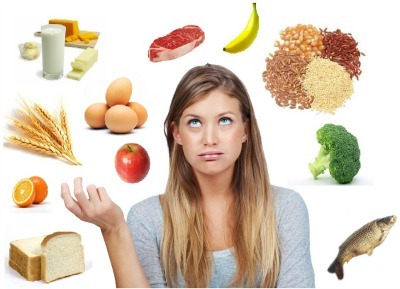 But what about beyond the obvious health-inhibiting food choices? Will a tomato interact the same with every body? What about gluten, dairy, eggs, soy, nuts, coffee, corn, rice, or things like green beans, sweet potatoes, oranges, watermelon, or strawberries? The answer is that your body will react to different food groups in different ways than the person next to you. The variance in reactivity depends on a number of factors, including your genetics, your gut health, your stress levels, and your environment to name a few. What’s the difference between a food sensitivity and food intolerance/ allergy? The first thing I want to note is that food allergies and food sensitivities are two very different things. A food sensitivity is more difficult to diagnose because it triggers an IgG reaction in your system. This reaction is a delayed immune response. That means that it could take up to 72 hours for symptoms of a food sensitivity to show up. You can see how that would make it tricky to recognize what is the trigger for you because most of us eat a lot of different kinds of food in a 72 hour period. Now, the gold standard when it comes to food sensitivity testing and seeing which foods are giving your symptoms is to do an elimination diet. In essence, this means that you would eliminate foods that are common triggers for people –usually these include at least gluten, dairy, soy, corn, peanuts, and eggs– and then you would reintroduce them one by one to see if your body reacts to them. While I am still a big fan of doing an elimination diet and have coached many clients through it, I am now also a big fan of doing a basic food sensitivity test like the one I did by Everlywell (which is only $119 -there are a lot more expensive ones out there, but for most people this one is a great start) is a great way to get a head start into knowing what you might want to cut out first. For example, I probably wouldn’t have cut our almonds, cashews and peanuts first… in fact, by cutting out dairy first I probably would have substituted with more almond milk and by cutting out eggs, I would have probably increased how much almond and cashew butter I was eating, hence making my symptoms worse. So, is food sensitivity testing for you? You decide, but if you are currently experiencing any of the symptoms I mention above, then I want to encourage you to give it a try. I cannot tell you how amazing it feels to have gotten rid of my headaches! Newer PostDo Dad's Get Postpartum Depression/ Anxiety?